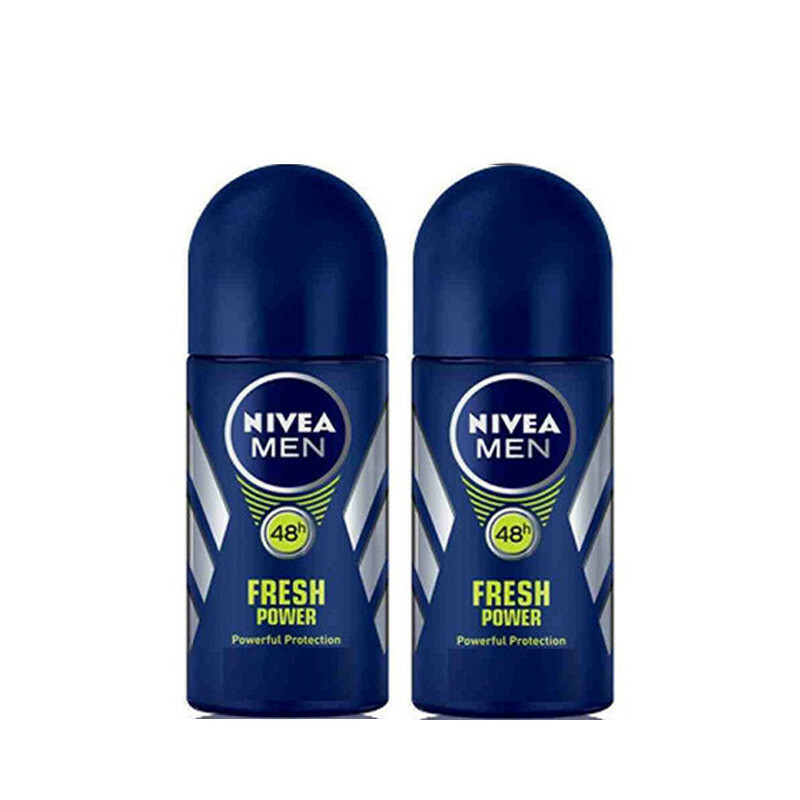 NIVEA MEN Fresh Power Roll-on gives you long lasting freshness with powerful anti-perspirant protection. NIVEA MEN Fresh Power Roll-on gives you long lasting freshness with powerful anti-perspirant protection. Its impactful, warm and masculine fragrance is accentuated with musk and oriental notes to provide long-lasting freshness. It has the optimal combination of reliable deodorant protection and NIVEA® MEN Care Complex. Skin tolerance dermatologically proven. Contains 0% alcohol. HOW IT WORKS Day long body odour control. Long lasting freshness. Warm musk and oriental scent. HOW TO APPLY Roll on evenly on your underarm skin. Allow the product to dry before dressing.